The For Each block serves as a control block for the For Each Subsystem block. Specifically, the For Each block enables the blocks inside the For Each Subsystem to process the elements of input signals or mask parameters independently. Each block inside this subsystem that has states maintains a separate set of states for each element or subarray that it processes. As the set of blocks in the subsystem processes the elements or subarrays, the subsystem concatenates the results to form output signals. You can use a For Each subsystem to iteratively compute output after changing inputs or mask parameters. To do so, you configure the partitioning of input signals or mask parameters in the For Each block dialog box. In a For Each subsystem, you can specify which input signals to partition for each iteration using the Input Partition tab in the dialog box of the For Each block. When specifying a signal to be partitioned, you also have to specify the Partition Dimension, Partition Width, and Partition Offset parameters. You define the dimension along which to concatenate the results by specifying the Concatenation Dimension in the Output Concatenation tab. The results generated by the block for each subarray stack along the concatenation dimension, d1 (y-axis). Whereas, if you specify d2 by setting the concatenation dimension to 2, the results concatenate along the d2 direction (x-axis). Thus if the process generates row vectors, then the concatenated result is a row vector. 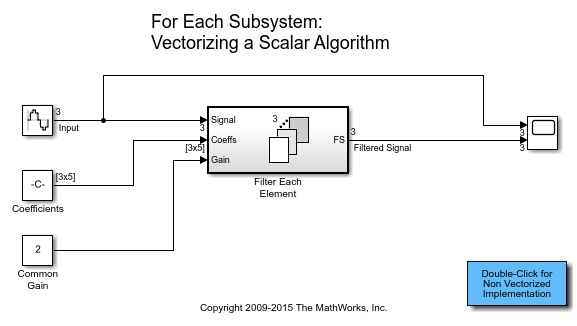 When selecting an input signal or subsystem mask parameter for partitioning, you need to specify how to decompose it into elements or subarrays for each iteration. Do this by setting integer values for the Partition Dimension, Partition Width, and Partition Offset parameters. The labels d1 and d2, respectively, define dimensions 1 and 2. If you retain the default setting of 1 for both the partition dimension and the partition width, and 0 for the partition offset, then Simulink slices perpendicular to partition dimension d1 at a width equal to the partition width, that is one element. Matrix A decomposes into these three row vectors. If instead you specify d2 as the partition dimension by entering the value 2, Simulink slices perpendicular to d2 to form three column vectors. In addition to setting the Partition Dimension to 2, if you set the Partition Width to 2 and the Partition Offset to -1, Simulink uses two overlapping 3x2 partitions for processing. 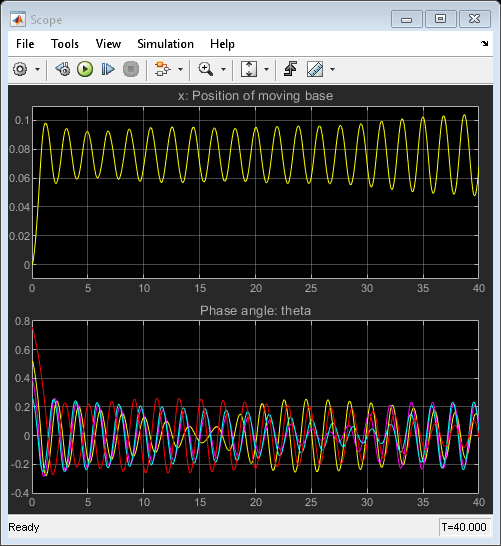 For an example using the Partition Offset parameter, open the Simulink model slexForEachOverlapExample. 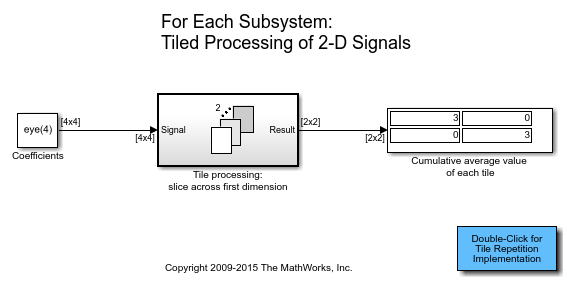 Only signals are considered one-dimensional in Simulink. Mask parameters are row or column vectors, according to their orientation. To partition a row vector, specify the partition dimension as 2 (along the columns). To partition a column vector, specify the partition dimension as 1 (along the rows). Select each input signal you want to partition and to specify the corresponding Partition Dimension and Partition Width parameters. See the Inport block reference page for more information. List of input ports connected to the For Each Subsystem block. Select input ports signals connected to the For Each Subsystem block to partition into subarrays or elements. Select input port signals to partition. Selecting this parameter enables the Partition Dimension and Partition Width parameters for the selected input port signal. Specify the dimension through which to slice the input signal array. The resulting slices are perpendicular to the dimension that you specify. The slices also partition the array into subarrays or elements, as appropriate. Specify a dimension of 1. Specify dimension. Minimum value 1. Specify the width of each partition slice of the input signal. Specify width. Minimum value 1. Specify the offset for each partition slice of the input signal. No offset between partition slices. Specify partition offset where the sum of the partition width and the partition offset is a positive integer. For example, a Partition Width of 3 and a Partition Offset of -2 indicates that each 3 element slice overlaps its neighboring slices by 2 elements. For each output port, specify the dimension along which to stack (concatenate) the For Each Subsystem block results. See the Outport block reference page for more information. List of output ports connected to the For Each Subsystem block. Specify the dimension along which to stack the results of the For Each Subsystem block. The results stack in the d1 direction. If the block generates column vectors, the concatenation process results in a single column vector. Select each mask parameter to partition and to specify the corresponding Partition Dimension and Partition Width parameters. Parameters appear in the list only if you have added an editable parameter to the mask of the parent For Each subsystem. List of mask parameters for the For Each Subsystem block. Select mask parameters for the For Each Subsystem block to partition into subarrays or elements. Select mask parameters to partition. Selecting this parameter enables the Partition Dimension and Partition Width parameters for the selected mask parameter. Specify the dimension through which to slice the input signal array as an integer greater than or equal to one. The resulting slices are perpendicular to the dimension that you specify. The slices also partition the array into subarrays or elements, as appropriate. Specify the width of each partition slice of the input signal as an integer greater than or equal to one. The following model demonstrates the partitioning of an input signal by a For Each block. Specify a concatenation dimension in the For Each block. Use the For Each Subsystem block to process submatrices data when neighboring submatrices overlap each other. 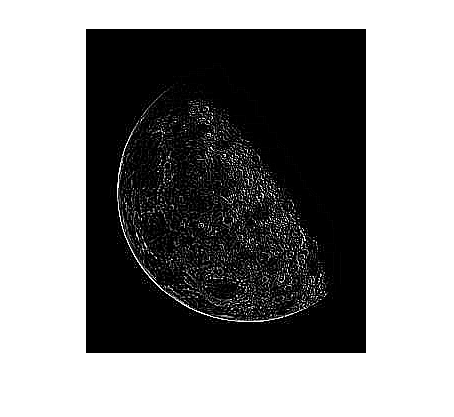 To demonstrate this data processing approach, the example implements the image edge detection with linear filters using the For Each Subsystem block. Each For Each Subsystem block has a For Each block that needs to be configured for partitioning and concatenation. Use the For Each Subsystem. In this example the operations are performed on matrices. Use the For Each Subsystem. In this example the operations are performed on a vector for simplicity. 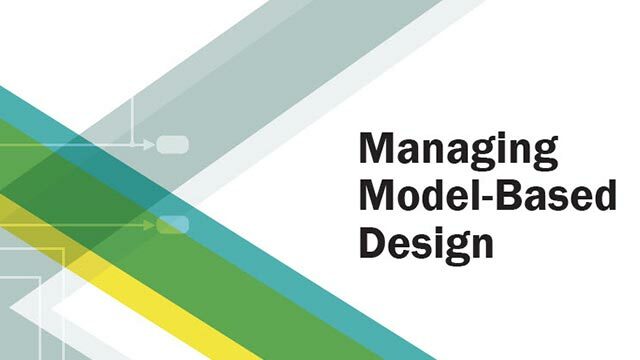 Model multiple objects with identical dynamics using the For Each Subsystem. The number of objects is parameterized by the length of the input signal.